How did you come up with the name Defunkd? I racked my brains trying to think of a word that could represent items of clothing and labels that are no longer manufactured, aka vintage. I funked out the word defunct. The domain was launched in 2004, then we integrated a blog and forum into it. The marketplace potion was launched at the end of 2011. Nostalgia. 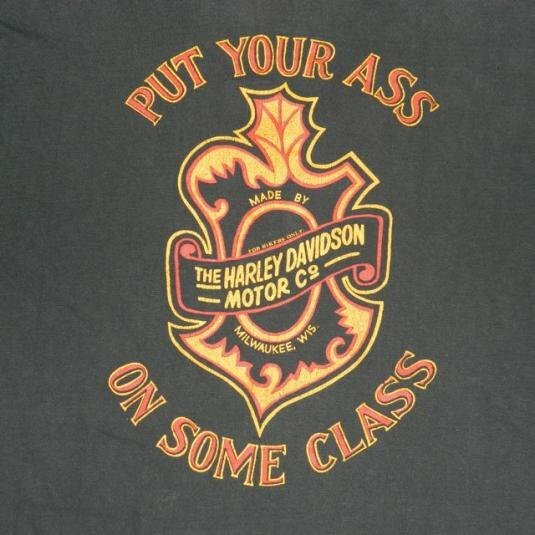 At the time vintage t-shirts were at the height of their popularity. I was running a retro space/technology themed nightclub in Toronto and a few members of the cast of That 70s Show stopped by – the were all digging the throwback vibe of the venue. After I met a few of them I started paying more attention to the show and the wardrobe. Then I got caught up in the vintage t-shirt gold rush that was taking place on eBay. What differentiates Defunkd from all the others on the Internet? We’re the only vintage t-shirt marketplace. We don’t us the term “vintage” as a marketing buzzword like most modern day t-shirt manufacturers. 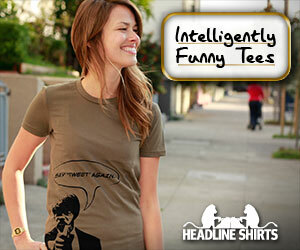 We deal exclusively in true vintage t-shirts aged a minimum of 15 years. You can’t make a vintage t-shirt just like you can’t make a piece of antique furniture. Yes I’m a nerd. We’re operating as a nonprofit. That’s a cool way of saying we don’t make any loot. We don’t charge any fees for buyers or sellers to use the system – and any money made from our in-house shop is put right back into development. So if you asked an accountant business is bad! How did you get into the vintage t-shirt business? Again nostalgia, always love things from the past. Vintage t-shirts are a cool way to explore that and look nifty while doing so. Can you explain how the site works for the uninitiated? If I dig up a vintage tee from from closet, can I try and sell it at Defunkd? Sure can!. Anyone can apply to become a seller – but Defunkd is mostly made up of shops with substantial inventory, rather than an individual trying to sell one t-shirt. Is it tough to verify authenticity? The majority of vintage t-shirt tags are now extinct or in cases like Hanes, have gone through numerous incarnations of tag designs over the years. Sizing is an indication too – it has changed dramatically – what was once labelled XL in the 80s is now considered a medium. Fabric and wear can come into play. But like any collectible there are people that go to great lengths to make fakes. Have there been any shirts that surprisingly got a ton more interest than you thought they would? This happens frequently actually. All of a sudden certain t-shirts will be super sought after for about a year and then fizzle out. The most recent example of this is t-shirts with rayon in their material, which complimented the polyester and cotton. People in Malaysia and Thailand went nuts for them, it didn’t even really matter what was on the front. I was baffled for a while wondering why a Joe’s Bar & Grill tee was fetching $200. It was all in the material. Is there work by specific artists that is in high demand in the vintage market? Bad Otis Link t-shirts have become extremely sought after in the last couple of years – but still a good investment. He was the 80s punk scenes goto artist and screen printer. Stanley Mouse, Pushead, even Boris Vallejo fantasy art flies. How many shirts would you say are for sale on your site right now? Anyone into vintage fashion. 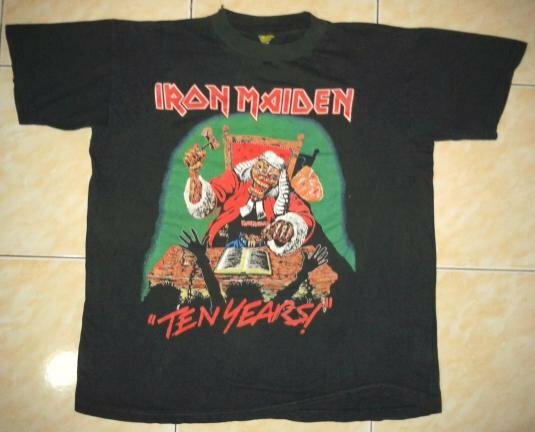 A lot of t-shirts are purchased by fans of retro bands. Definitely someone who likes to reduce, reuse and recycle. The marketplace’s inventory, user base and transactions all triple. What’s your favorite t-shirt of all time? I just acquired a vintage Boogie Down Productions t-shirt – something I had nearly given up on after scouring the internet for 5 years. 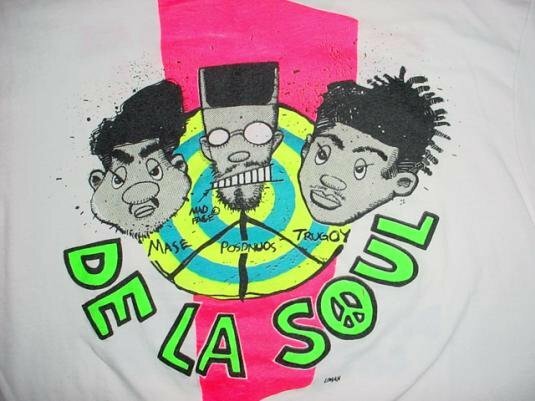 Aside from that the De La Soul glow-in-the-dark promo t-shirt from 3 Feet High and Rising. 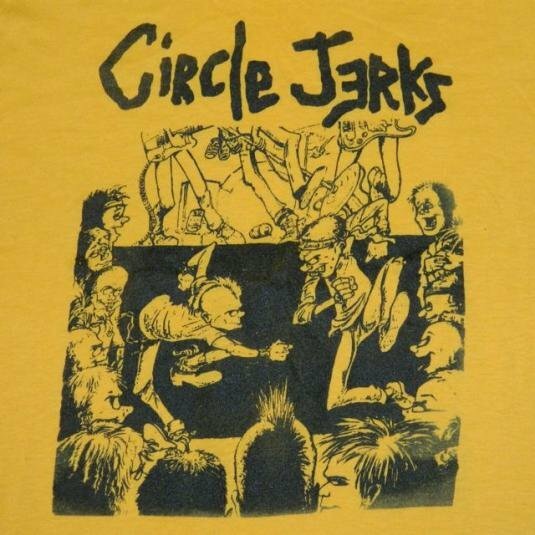 Is there a shirt you’ve seen somewhere (on an album cover, in a magazine, or whatever) that you absolutely must get your hands on? I’ve seen an Afrika Bambaataa & Soulsonic Force tee in a vintage t-shirt book that has eluded me for years. What’s the highest price a t-shirt has ever sold for on your site. I see some rare shirts that are pretty expensive. $450. A Cradle of Filth Vestal Masturbation tee. There are some high ticket items, but they true rare collectables. The majority of t-shirts sold on the site range from $5-25. Is there a specific subject matter that sells best in the vintage market? 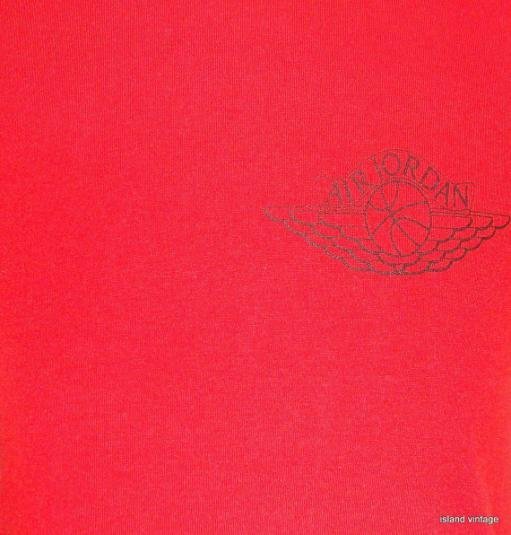 Vintage Nike tees are the breakout performers this year. Iron Maiden and Harley Davidson have been blue chip investments for years. Yes. And vintage t-shirts will be the new currency in the post apocalyptic world. Start stockpiling now. When your torso needs an authentic vintage t-shirt, we have your back. I would like to introduce my company Sanzaf Enterprises that manufacturer & exporters based in Sialkot/Pakistan. We produce all kinds of Hoodies,Shirts,Shorts,Socks with Embroidery,Printing and Sublimation. We can offer to you our products at very special rates to start a good business relationship.